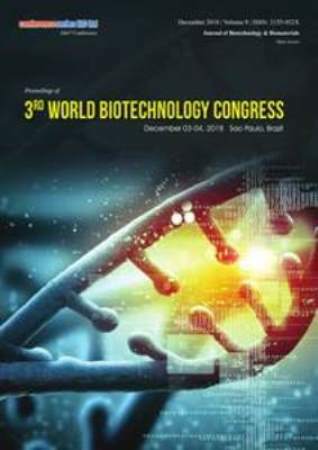 World Biotechnology 2019 has been finalized to take place during December 06-07, 2019 in Sao Paulo, Brazil and will initiate its journey towards its aim of unifying people from different corners around the globe with the theme “Novel Insights and Innovations in Biotechnology for Leading a Better Life”. 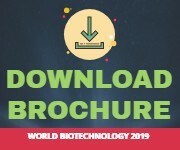 Attend World Biotechnology 2019 to network with your peers, exchange expertise, and experiences, and arm yourself with the latest information to take your department to the next level of development. Come and join this felicitous event in Sao Paulo, Brazil and support us in making the Conference a huge success. Conference Series LLC Ltd is organizing Biotechnology Conferences in 2019 at Sao Paulo, Brazil. We organize Biotechnology Meetings in the fields related to Plant & Agriculture Biotechnology, Food Safety & Security, Environment Biotechnology, Animal Biotechnology, Genetic & Tissue science Engineering, Molecular Biology, NanoBiotechnology, Biofuels, Bioenergy & Bio-economy, Cell Science & Cell Biology, Pharmaceutical Biotechnology, Applied Biotechnology, Biomedical Engineering, Bioinformatics & System Biology, Gene Editing by CRISPR/CAS 9 Technology and Industrial Biotechnology. World Biotechnology Congress 2019, which is going to be held in Sao Paulo, Brazil during December 06th to 07th, will be the meeting stage to address many ongoing topics in the fields related to Biotechnology, Molecular Biology, and Genetics. From Experts in these fields to students who are interested in exploring and discuss ongoing research aspects can attend this Biotechnology Conference, you can utilize this opportunity to interact with peers in your field to gain and share knowledge. Conferenceseries LLC LTD invites the contributors across the globe to participate in the premier “4th World Biotechnology Congress” ( World Biotechnology 2019), to discuss the theme: "Novel Insights and Innovations in Biotechnology for Leading a Better Life". The conference will be held in Sao Paulo, Brazil during December 06-07, 2019 wherein prompt keynote presentations, Oral talks, Poster presentations and Exhibitions are included. International conference of World Biotechnology 2019 is a Research-scientific knowledge bridge, that aims bring together multi-disciplinary luminaries for Thriving innovation in the Biotechnology. The scientific conferences have been carefully structured so as to share knowledge and thoughts through presentations and exhibitions. 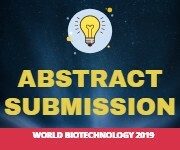 World Biotechnology 2019 event with sessions covers all aspects of biotech-driven techniques such as CRISPR, synthetically engineered T Cells for Immunotherapy, Mutagenesis techniques and computational design tools for protein design and engineering, aging and neuroscience and addresses the key issues currently affecting these researches. Attendees can look forward to hearing about the different strategies taken to improve ongoing research and decipher how to overcome technical limitations in research development. This conference is where pharm, investors and Life Science companies find partners, access innovation, find funding and brainstorm the solutions to further their business needs. From manipulation of mutant genes to enhanced resistance to disease, biotechnology has allowed advances in medicine. Biotechnology is used in the medicinal field such as Pharmacogenomics, Genetic Diagnosis and Gene Therapy. The study of pharmacogenomics can result in the development of tailor-made vaccines for people, more accurate means of determining drug dosages, improvements in drug discovery and approval, and the development of safer vaccines. Modern biotechnology can be used to manufacture drugs more easily and cheaply, as they can be produced in larger quantities from existing genetic sources. Genetic diagnosis involves the process of testing for suspected genetic defects before administering treatment through genetic testing. In gene therapy, a good gene is introduced at a random location in the genome to aid the cure of a disease that is caused by a mutated gene. Annual Summit on Cell Therapy September 27-28, 2019, Chicago, Illinois, USA; Annual Summit on Cell Signaling and Cancer Therapy September 27-28, 2019, Chicago, Illinois, USA; 8th World Congress and Expo on Cell & Stem Cell Research March 20-22, 2019 Orlando, Florida, USA; 3rd International Conference & Exhibition on Tissue Preservation and Biobanking August 23-24, 2019 San Francisco, California, USA; 9th International Convention on Stem Cell and Biobanking October 23-24, 2019 Osaka, Japan; 3rd International Conference on Biotechnology and Agriculture Engineering Mar 28-30, 2019, Osaka, Japan; 8th International Conference on Food Engineering and Biotechnology Apr 24-26, 2019 Kuala Lumpur, Malaysia; National Biotechnology Conference, May 1-3, 2019, San diego, USA; 7th International Conference on Bioscience, Biochemistry, Bioinformatics Jan 21-23, 2019, Bangkok, Thailand; Global Biotechnology Congress 2019, July 10-13, Boston, USA; The European Forum for Industrial Biotechnology and Bio economy Oct 19-20,2019 , Brussels, Belgium; 14th Asia Pacific Biotechnology Congress July 20-22, 2019 , Melbourne, Australia. Protein engineering is the synthesis proteins by manipulation of structure and process of developing useful or valuable proteins. It is a new discipline, with much research taking place into the understanding of protein folding, structure and recognition for protein design principles. It is also a product and services market, with an estimated value of $178 billion by 2019. In the future, more detailed knowledge of protein structure, folding and function, as well as advancements in modern technology, may greatly expand the potentiality of protein engineering. Eventually, even unnatural amino acids may be incorporated, owning to a new method that allows the inclusion of novel amino acids in the genetic code. Proteins have important role in physiological processes and they are involved in movement, recognition, catalysis, regulation etc. Moreover, proteins also have several therapeutically and industrial applications. Enzyme engineering is the modifying an enzyme's structure (and, thus, its function) or modifying the catalytic activity of enzymes to produce new metabolites, to allow new (catalyzed) pathways for reactions to occur, or to convert certain compounds into others (biotransformation). These products are useful as chemicals, pharmaceuticals, fuel, food industries, or agricultural additives. In the future, enzymes may be restructured to fit more appropriately into industrial processes for the production of desired metabolites. Animal biotechnology is a branch of biotechnology in which molecular biology techniques are used to genetically engineer (i.e. modify the genome of) animals in order to improve their suitability for pharmaceutical, agricultural or industrial applications. Animal biotechnology has been used to produce genetically modified animals that synthesize therapeutic proteins, have improved growth rates or are resistant to disease. Animal health and efficiency in generating animal based products with a target to increase quantity as well as quality of such products is the ultimate motive behind scientific research. Animal biotechnology is the use of science and engineering to modify living organisms. The goal is to make products, to improve animals and to develop microorganisms for specific agricultural uses. Examples of animal biotechnology include creating transgenic animals (animals with one or more genes introduced by human intervention), using gene knock out technology to make animals with a specific inactivated gene and producing nearly identical animals by somatic cell nuclear transfer (or cloning). Animal biotechnology in use today is based on the science of genetic engineering. Under the umbrella of genetic engineering exist other technologies, such as transgenic and cloning, that also are used in animal biotechnology. The potential benefits of animal biotechnology are numerous and include enhanced nutritional content of food for human consumption; a more abundant, cheaper and varied food supply; agricultural land-use savings; a decrease in the number of animals needed for the food supply; improved health of animals and humans; development of new, low-cost disease treatments for humans; and increased understanding of human disease. Industrial biotechnology is a set of practices that use living cells (such as bacteria, yeast, algae) or component of cells like enzymes, to generate industrial products and processes. Industrial biotechnology can be used to: Create new products, such as plant-based biodegradable plastics; Replace petroleum-based feedstocks by processing biomass in biorefineries to produce electricity, transport fuels or chemicals; Modify and develop new industrial processes, such as by using enzymes to reduce the number of harsh chemicals used the textile or pulp and paper industries; Reduce the environmental impact of manufacturing; for example by treating industrial wastewater onsite using biological mediums such as microbes; Industrial biotechnology is one of the most promising new approaches to pollution prevention, resource conservation, and cost reduction. It is often referred to as the third wave in biotechnology. If developed to its full potential, industrial biotechnology may have a larger impact on the world than health care and agricultural biotechnology. It offers businesses a way to reduce costs and create new markets while protecting the environment. Also, since many of its products do not require the lengthy review times that drug products must undergo, it's a quicker, easier pathway to the market. Today, new industrial processes can be taken from lab study to commercial application in two to five years, compared to up to a decade for drugs. The applied biotechnology major deals with the scientific background and laboratory experience necessary for the biotechnology and pharmaceutical industries, or for advanced study in the applications of biotechnology and molecular biology for the use and improvement of plants, animals, and micro-organisms. In addition, it can be to prepare for professional programs in medicine. Multi-discipline science of interest in chemistry, biotechnology, microbiology. This interdisciplinary major brings together areas of study such as animals, food science, forestry, entomology, and plants to improve the knowledge and skills necessary to use biotechnology for the improvement of plants, animals, and microorganisms. Gaining theoretical as well as hands-on knowledge in the areas of molecular biology, structural biology and biotechnology furthermore, studies in the areas of protein engineering, synthetic biology and molecular biotechnology for renewable energy. Thanks to the courses in project management, marketing, and entrepreneurship, one will also gain insight into business management and learn how projects are planned and carried out in the bio­technology industry. Biosafety as currently discussed in the International “Convention on Biological Diversity” (CBD) and designed to create internationally binding protocols on biosafety. The application of biotechnology to food and agriculture can bring not only potential risks and benefits as any technology can but also concerns about the human dimensions coupled with biotechnology. These include both positive and negative impacts on stakeholders, social institutions, economy, and communities. Different areas associated with biosafety include: (i) Agriculture and food system issues (ii) Market and consumer issues (iii) Institutional issues, business issues and (iv) Social issues. Biosafety is the prevention of large-scale loss of biological integrity, focusing both on ecology and human health. These prevention mechanisms include conduction of regular reviews of the biosafety in laboratory settings, as well as strict guidelines to follow. The international Cartagena Protocol on Biosafety deals primarily with the agricultural definition but many advocacy groups seek to expand it to include post-genetic threats: new molecules, artificial life forms, and even robots which may compete directly in the natural food chain. ‘Biosafety’ means the need to protect human and animal health and the environment from the possible adverse effects of the products of modern biotechnology. Bioethics is the study of the typically controversial ethical issues emerging from new situations and possibilities brought about by advances in biology and medicine. It is also moral discernment as it relates to medical policy and practice. Bioethicists are concerned with the ethical questions that arise in the relationships among life sciences, biotechnology, medicine, politics, law, and philosophy. The scope of bioethics can expand with biotechnology, including cloning, gene therapy, life extension, human genetic engineering, astroethics and life in space, and manipulation of basic biology through altered DNA, XNA and proteins. These developments will affect future evolution, and may require new principles that address life at its core, such as biotic ethics that values life itself at its basic biological processes and structures, and seeks their propagation. Business Development referred to as the activity of pursuing strategic opportunities for a particular business or organization, for example by cultivating partnerships or other commercial relationships or identifying new markets for its products or services. Business development activities extend across different departments, including sales, marketing, project management, product management, and vendor management. Networking, negotiations, partnerships, and cost-savings efforts are also involved. All these different departments and activities are driven by and aligned to the business development goals. In the simplest terms, business development can be summarized as the ideas, initiatives and activities aimed towards making business better. This includes increasing revenues, growth in terms of business expansion, and increasing profitability by building strategic partnerships and making strategic business decisions. Business development activities extend across different departments, including sales, marketing, project management, product management, and vendor management. Networking, negotiations, partnerships, and cost-savings efforts are also involved. All these different departments and activities are driven by and aligned to the business development goals. Since business development involves high-level decision making, the business developer should remain informed about the current state of the business in terms of SWOT analysis (Strengths, Weaknesses, Opportunities, and Threats). The current state of overall industry sector and growth projections, Competitor developments, Primary sources of sales/revenues of current business and dependencies, the customer profile, New and unexplored market opportunities, New domains/products/sectors eligible for business expansion, which may complement the existing business, the long-term view, especially with regards to the initiatives being proposed, the cost areas, and the possible options of cost-savings. Brazil is well known for its research and investment in biotechnology, particularly in regards to cellulosic sugars and agribusiness. Several companies including Amyris, BP, Dow Chemical, DuPont, and Novozymes came together to launch of the Brazilian Industrial Biotech Association (ABBI) to promote dialogue with stakeholders, policy makers, and the public about advancing industrial biotechnology in Brazil. The trade group aims to improve current patent laws in light of new biotechnology advancements, support investments in R&D, laboratory infrastructure, and capacity and training for skilled and technical labor. North America dominated the overall market in terms of revenue in 2016 at 44.15%. Presence of high R&D investments pertaining to new drug discovery and development are some factors attributing to its large share. The U.S. spends more per capita on healthcare than other countries and has a high growth rate amongst other countries. According to the estimates published by OECD Health Statistics in 2014, it has been estimated that in 2012, U.S. spent nearly 16.9% of its GDP towards healthcare expenditure, which is the highest. The aforementioned fact supports the estimated share of biotechnology market.Asia Pacific on the other hand, is expected to gain market share during the forecast period owing to the presence of patient awareness, rapidly improving healthcare infrastructure and rising healthcare expenditure levels in the emerging markets. Olga Potapova, Cureline Inc, USA. Suresh K Alahari, LSUHSC School of Medicine, USA. For their Extreme Support for making the Event a Grand Success and for their valuable suggestions to make the Conference Better. Our Special Thanks to Liliana Rubio, Sanitized AG, Brazil for being as the Moderator for this Event. We extend our gratitude towards Anuj Kumar Chandel, University of Sao Paulo, Brazil for being as the Poster Judge and YRF Judge. it's time to Congragulate Bruna S Fernandes, University of Campinas, Brazil for her best poster for the Event and winning the Best Poster Award. World Biotechnology congress 2018 Conference was the best! 3rd World Biotechnology Congress hosted by the Conference Series LLC LTD was held during December 03-04, 2018 at Hotel Novotel Sao Paulo Center Norte, Av. Zaki Narchi, Sao Paulo, Brazil with the theme “Profound Innovations and Futuristic Challenges in Biotechnology for Making Better Life “. Active participation was received from the scientists, engineers, researchers, students and leaders from the fields of Agricultural, Plant Biotechnology, Food Processing Safety and Processing, Pharmaceutical Biotechnology, Biomedical Engineering, Nano Biotechnology, Recycled Fuels, Biotechnology Industries in the Market who made this event successful. Conference Series LLC LTD offers its heartfelt appreciation to all the speakers who have attended and obliged to the Organizing Committee Members, adepts of field, various outside experts, company representatives and other eminent personalities who supported the conference by facilitating the discussion forums. Conference Series LLC LTD also took privilege to felicitate the Organizing Committee Members who supported this event. With the success of World Biotechnology Congress 2018, Conference Series LLC LTD is proud to announce the “4th World Biotechnology Congress” to be held during December 06-07, 2019 at Sao Paulo, Brazil. I would like to thank you for the big support in the Congress and I was very happy to have participated in the event. It was very good with great discussions on my presentation by the participants.